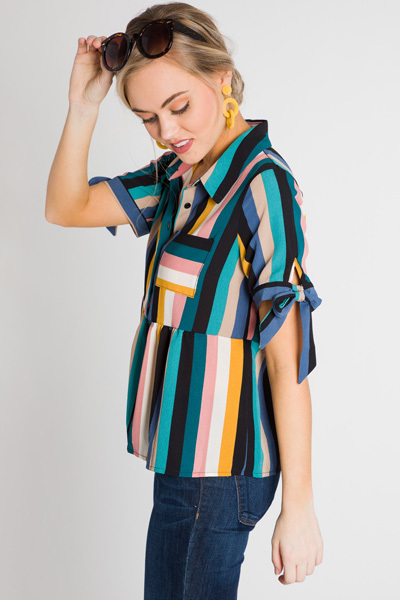 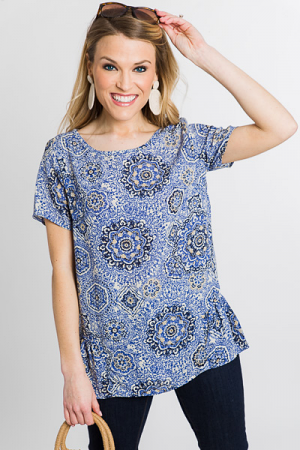 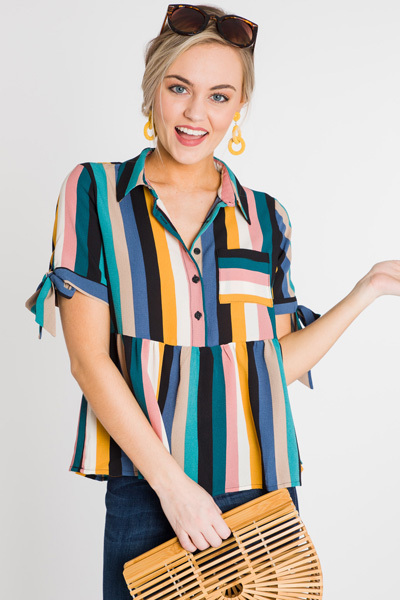 We dare you to wear a top this cute and NOT have fun doing it! 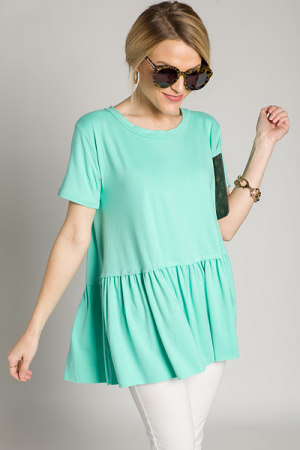 This one features a babydoll shape, shorter length and button down front. 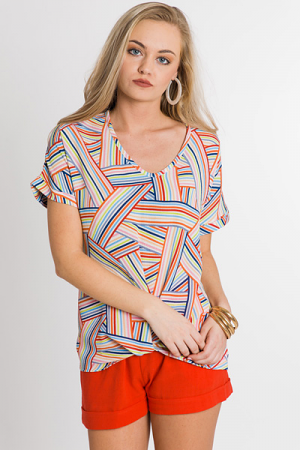 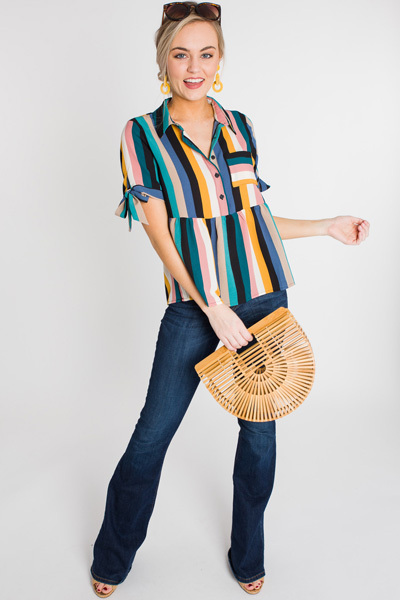 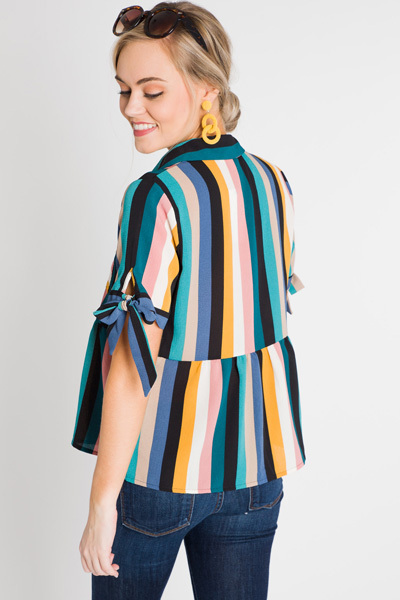 Multi-color stripes look great with denim or any black bottom! 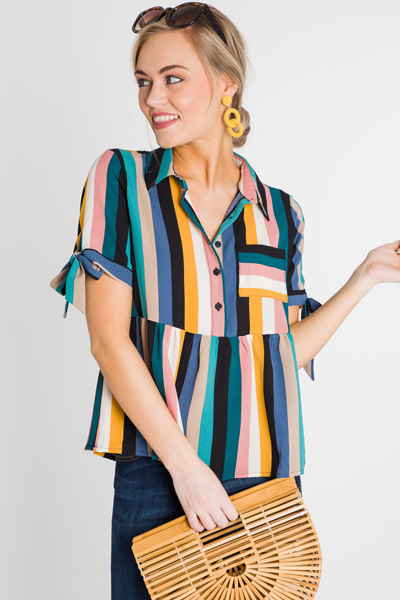 Ttie sleeves just add an extra feminine touch.